Los Angeles Whistleblower Attorney | Can I Be Fired for Reporting My Boss for Illegal Activity? Can I be fired for reporting my boss? Most employers are rather good about following every law in order to keep themselves out of any legal (and costly) trouble. There are many laws and regulations which tell a business what they can or can’t do when it comes to running their business. These include such policies which protect employees from discrimination, harassment, and from retaliation for whistleblowing against their employer. Doing what is “right” is often very difficult and may appear to be against our interest. When you see something that is illegal or unsafe in the workplace, you may be inclined to look the other way because you fear there will be some consequence if you alert your employer or a government agency of the wrongdoing. However, whistleblowing laws protect employees against any retaliation from their employer if they brought some employer-related illegal activity to light. We have successfully offered retaliation protection to many of our clients who wish to know their rights when they see illegal or unsafe activity occurring in the workplace. If you would like to learn how to sue your employer or if you would like a lawyer to sue your employer for wrongful termination or another reason, you can call our law firm today for a free consultation. Can I be Fired for reporting an illegal act at work? Can I be fired for refusing to do something illegal at work? What should I do if my employer is breaking the law? How to report illegal activity in the workplace? My boss made me do something illegal at work. What should I do? Can I lose my job for reporting my boss? My employer is breaking the law. What should I do? What is a whistleblower and what happens when a whistleblower is fired? Can I get fired for reporting discrimination? Whistleblowing complaints focus activity that is illegal according to a specific law and/or activity that may misuse tax dollars, damage public safety, or violate public trust. Laws that govern the workplace which guarantee certain things to employees, like being free from discrimination, right to join a union, and the right to minimum and overtime wages, do in fact address the rights of an individual worker to enforce their rights as an employee under both state and federal law, as well as to assist other individuals who want their rights met. If the employer interferes with those rights, the individual can file a retaliation claim against the employer. Our Los Angeles lawyers are always available to hear about your case and sue the responsible parties for your damages. There are many violations of the law which occur that go unreported because employees are afraid that their employer will somehow retaliate against them, and possibly terminate them from their position. These violations can be dangerous to public health and safety and may affect you, fellow employees, and possibly even more people. Because our health care policies, and the livelihood not only our individual selves but our families depend on our steady income, many of us are hesitant to report any illegal activity – and it’s completely understandable. But you may be unaware of the existing anti-retaliation laws which protect employees’ jobs if they are whistleblowers and report this dangerous and illegal activity which will make our world, greener, safer, and more just. There are many anti-discrimination laws, wage protections, and health/safety laws which were made to make the workplace safe. An employer cannot retaliate against an employee who brings to light the wrongdoings in the workplace. There exist laws which protect the public at large: environmental laws, industry-government regulations, and taxpayer-funded programs. Employers cannot retaliate against whistleblower employees who believe there is enough evidence of illegal activity, gross mismanagement, abuse of power, gross fraud/waste, or other dangers which pose a threat to public and health safety. That you suffered an unfavorable employment action. By unfavorable, or adverse employment action, we mean any action that costs the worker money. Firing, demotions, denial of overtime, promotions, or benefits all typically cause the victim to lose money. That the protected activity in which you participated caused the adverse employment action taken against you. Can I be fired for having dyslexia or other learning disability? What Counts as Protected Activity? There is no one true definition of protected activity, as it is defined by each law that an employee can report against an employer. With some laws, protected activity only encapsulates the actual complaint to the specific agency. Under some state laws, there exists a “play fair” statute which requires employees who wish to file a complaint to alert their employers first and give them an opportunity to correct the issue. Under Title VII of the Civil Rights Act of 1964, employees are protected for opposing unlawful discrimination and participating in lawsuits and proceedings to enforce the law of the land. Opposing unlawful discrimination requires that the employee have objective evidence and reasonable or reasonable basis to believe that the employer is breaking the law. Participating protects anyone who files a claim against the employer for unlawful discrimination or serves as a witness, even if the case had any merit or not. So, for example, if you let our boss know that some workplace action or practice is illegal and you are fired right there, your retaliation claim will depend on whether or not the judge believes that there was a violation of the law. Employees are protected as soon as there is evidence which suggests that upper management believes that the employee may become a witness in a proceeding against them and their practices. Reaching out to the media, filing a grievance, refusing to perform illegal assignments, and other ways which employees can uphold the law can be protected as well. There must be enough evidence to prove that your employer terminated you based off of retaliation in order for you to get that which you are entitled. In order to prove causation, the courts will use direct evidence or inference. Direct evidence is evidence which shows that your employer became frustrated at the protected activity in which you participated. If you, or some witness, observe an employer say something about someone reporting a violation which occurred or is occurring, that is direct evidence of “animus” against the protected activity. Likewise, if the employer says that whoever reports the activity will be fired or warns against reporting, it is direct evidence of retaliation. Timing: How soon after the employer learned about the employee’s protected activity was the employee was terminated. Animus: The boss getting visibly frustrated at the protected activity of the employee. Deviation from practice: There are likely records indicating a pattern in how and when the employer terminates an employee. 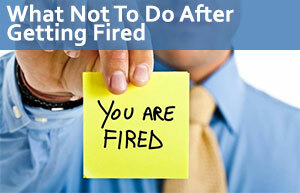 If the way the employee was fired deviated from normal practice, wrongful termination can be inferred by the courts. What If I Have Not Been Fired but My Boss Has Made Things Considerably Harder After Being a Whistleblower? With this claim, you must also name the company and/or individuals who broke the anti-retaliation law and partook in your termination. In addition, each law has a different procedure on how to file a claim and statute of limitations. Federal Environmental Laws – If you notice that your employer is in violation of environmental laws, you have thirty (30) days from the illegal action to file a claim with OSHA. Civil Service Protections – Employees on the local and state level have time limits which can be as short as ten (10) days to file their claim which states their employer broke anti-retaliation laws. Employees on the federal level must first file a claim with the Equal Employment & Opportunity Commission (EEOC). This charge must be done within forty-five (45) days after each action. Union Contracts – Depending on your contract, you may have as little as three (3) days after each unfavorable action. So when you plan to take action, you must first know which law is being broken and what procedures exist for each charge. A competent attorney can help you determine what kind of case you have to file, and to whom, and how fast you have to act in order for your claim to be viable in the eyes of the law. California Labor Law Attorneys Group offers free consultations to everyone who believes they have a valid case. To contact our law firm for a free review of your case, please call or email us. We also offer a zero fee guarantee to all clients. If we take your case, it will be on contingency, meaning you pay nothing upfront; we collect our fee only when we get you money. If we don’t get you money, you don’t pay for our services.